#47. 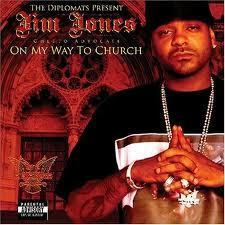 Jim Jones f/ T.I. and Bun B "End of the Road"
Jones' debut album was completely geared toward feeding the streets. And there was no way a sped-up Janis Joplin sample of "Don't Cry" would get in the way of fulfilling that mission statement. On paper, teaming up with two other rappers of impeccable street pedigree made perfect sense. On wax, the triumvirate's rugged threats and charismatic belligerence make for an epic song.